Heather is the CEO and co-founder of Catapult Design, a non-profit product design firm serving developing world markets. Catapult’s clients are organizations working in impoverished communities around the world with design and technology needs, including: rural electrification, water purification and transport, food security, and health. Before starting Catapult, she worked as a product design consultant in Silicon Valley, designing products for a diverse range of clients. In 2005 she also co-founded and led a volunteer team focused on design programs for developing countries through Engineers Without Borders. Under her leadership, the team took on the development of a small wind turbine for rural Guatemala, prototyping solar distillation technologies for a community in Northern India, designing a mechanical rock crusher for the Philippines, designing an efficient water transport product for South Africa, and developing locally manufactured cooking stoves in Sudan. The team’s work has been featured in O Magazine, Newsweek, ABC News, and WIRED.com. 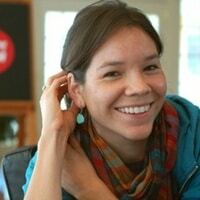 Heather also teaches Design for Sustainability at Stanford University. Few tools exist that bridge the knowledge gap between the realities on-the-ground and development professionals. Enter Engineering for Change (E4C). Equal parts catalog, database, research and collaboration tool - with the accessibility of the Internet worldwide - E4C is what the design and development sector has needed for decades. Mobius Motors, an African car company in its infancy, is developing the first car targeting African buyers. But how exactly does one build a car company from scratch in one of the most notoriously difficult markets? For Mobius Founder Joel Jackson, it starts by re-imagining the car as a more "relevant," device - built around the needs of its users. Success isn?t about completing a defined scope or work, it may not even be about sales or revenue. It?s about impact. After five years I?m just starting to figure out what that means. Tim Prestero, the Executive Director of Design That Matters, has it drilled down to a science. We compared notes recently and distilled our thoughts. Does the lack of fancy salt shakers coming out of Africa imply its citizens are less innovative? No. They are. But perhaps not in a way that we, as Westernized culture, recognize. Novel solutions to problems are developed every day and everywhere by necessity. Last Saturday the Unreasonable Institute, a 10-week summer institute hosting 22 social entrepreneurs from around the world, wrapped up its first year with the Unreasonable Global Summit in Boulder, Colorado. Here are some impressions from my recent visit to the Unreasonable Mansion. Investors and potential investors in Africa gathered in Dar es Salaam in May for the World Economic Forum on Africa. I was privileged to speak with a few individuals addressing these issues in Africa, and asked each of them, "Tell me about innovation, design, women and/or technology in Africa." Here are some of their responses. The Future of Design: A U.S. Cell Phone Designed by Kenyans? These days you hear about design thinking being applied to just about everything. So much it’s getting bashed on its over-hype and misuse. But imagine 90% of the world’s designers finally being tapped into and how that will shape and shift everyday objects we use (a US cell phone designed by Kenyans?) and our understanding of social challenges. "How do you know when to pull the plug on your idea?" That’s the question Kiwanja.net’s Ken Banks posed to me after swapping stories one afternoon about our respective startup organizations. Implementing ideas demands a physical and emotional investment, and once you’ve put so much into it, it becomes hard to know when to throw in the towel.